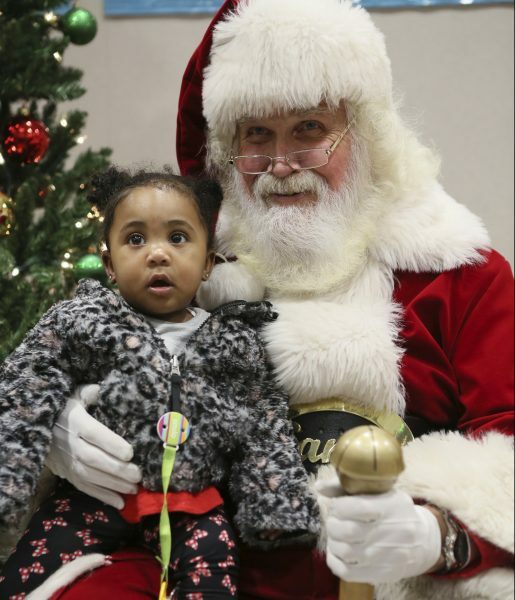 Santa made an early stop at Akron Children’s Hospital Mahoning Valley. When Akron Children’s Hospital opened the doors to its Beeghly campus in 2008, its goal was to fill the need left behind from the closing of Tod Children’s Hospital in 2007. But it quickly transformed into a catalyst for extraordinary growth in the Mahoning Valley. 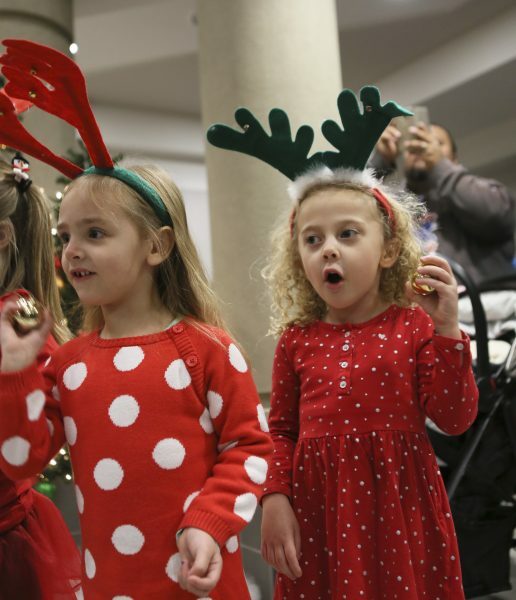 On Wednesday, Dec. 5, hospital and community leaders, staff, patients and donors gathered to celebrate the lasting impact Akron Children’s has made in the region during “A Children’s Holiday” Tree Lighting and Anniversary Celebration. The event included carols, the tree lighting and, of course, a visit from Santa Claus. Akron Children’s opened the Beeghly campus on Dec. 8, 2008. Before it opened, the hospital had collaborative relationships with medical colleagues and hospital systems in the Mahoning Valley. 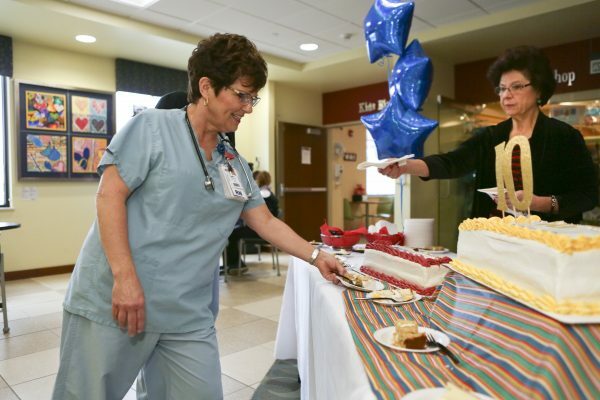 By 2007, it was treating patients at two specialty locations and providing emergency, inpatient, specialty, neonatal and hospitalist care alongside its affiliate Humility of Mary Health Partners (now Mercy Health). Carolers helped kick off the evening before the tree lighting. Akron Children’s had already been in the community when Tod Children’s Hospital announced that it would be closing. To ensure that there was no gap in services, Akron Children’s worked collaboratively with Tod staff to transition services and even expand them. Today, that promise to bring high-quality, pediatric care close to home continues to ring true as the list of programs and services is long and growing. When it opened, the 189,174-square-foot Beeghly campus had 32 inpatient rooms, an ER, a helipad for AirBear® to transport patients to Akron as needed, as well as rehabilitation, radiology, lab and other services. Akron Children’s had anticipated steady growth in the region. But steady soon transformed to rapid as pediatric health care needs in the region were identified. Staff celebrated the 10th anniversary throughout the day. Akron Children’s brought specialties like endocrinology, rheumatology, hematology/oncology, gastroenterology, orthopedics and cardiology to the region. And over the years, the campus evolved. In 2010, Akron Children’s opened the region’s only dedicated pediatric surgery department. In 2014, its Pediatric Inpatient Unit and Special Care Nursery underwent $1.9 million in renovations. In 2017, it opened the doors to the first phase of its campus expansion project, which involved moving several specialties from the Medical Office Building in Boardman to the Beeghly campus. The hospital also extended beyond Mahoning County into Trumbull and Columbiana counties, including a significant expansion into the Warren area. As access grew, so did the extension of primary health care across the community.